It's officially winter in the Bow Valley which means it's ski season and fat biking season! And our shop is ready with all of your winter gear, skis, avalanche gear, waxing and tuning supplies and more. Plus, our ski tuning services are ready go and our team is here to make sure you're gear is working it's best and sliding as fast as possible. Sunshine opened on Friday, November 9th and have amazing snow and coverage already. They already have Strawberry, Wawa, JackRabbit, Angel and Divide open too (and the bunny hill)! They have 24 features up on Strawberry park and it's amazing! Discounted lift tickets are only $79/day or $65/afternoon ticket. 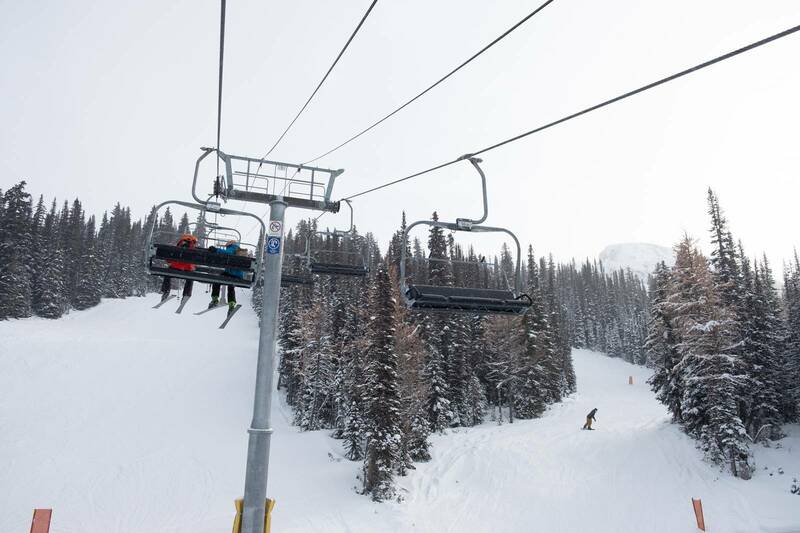 Lake Louise also opened on Friday, November 9th and Glacier Express as well as Lower Sunny Carpet are open, accessing Bald Eagle, Wiwaxy, Easy Street and Sunny Side. They also have 5 features up in the terrain park. Norquay also followed suite and opened up on Friday, November 9th. The Casacade lift is open along with a number of park features. We hope to see you at the hill!